We have two lovely old annoying cats. They think we don't feed them enough and they let us know by leaving things around the property, this is what I found YESTERDAY (one day only): Subway wrapper, Wendy's wrapper, Hot Chips pottle, Bakery bag, Bakery gladwrap! IN ONE DAY! 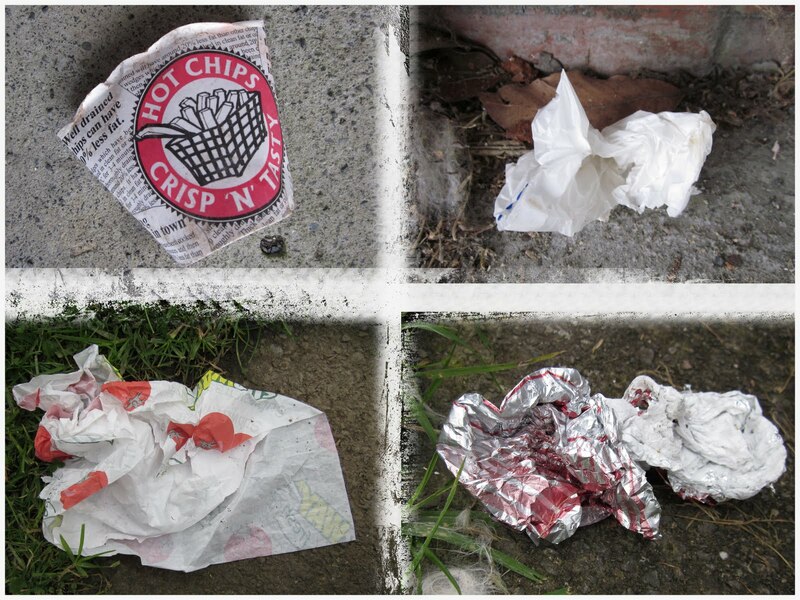 We always have food wrappers around our lawn and driveway, it's really gross, and I'm getting sick of it! So when our 11yr cats die, that's it! no more pets! NOT US! It's all from the rugby field carpark up the road.